Church needs a media “that is not afraid to expose mistakes and failures." 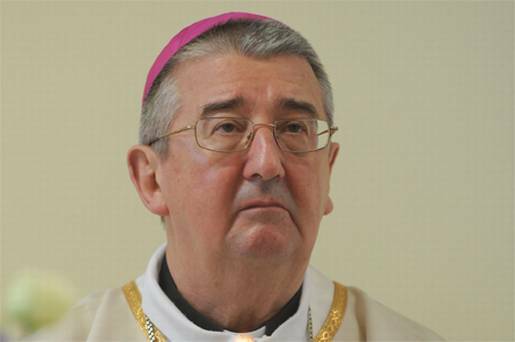 Archbishop Diarmuid Martin of Dublin has warned that there is a growing tendency towards “tabloidism” in some sectors of the Catholic press. In his analysis of the role and contribution of the Catholic media, he said accuracy is more important than the exclusive ‘scoop’ which may often be unfounded. He referred to Pope Francis’ comments in which he said bluntly that a Church which is not marked by Christian charity has ceased to be the Church. “Christian charity is not about short-term emotion. It is about being close to people and carrying them in their woundedness,” he said. He said journalists and those in involved in the Catholic media have to live the Good news of Jesus Christ and be seen to witness to the Good News. “The Gospel is Good News and must always be presented with the enthusiasm which is the inevitable characteristic of those who believe that they are the bearers of good news,” the leader of the Church in Dublin commented. “The Catholic media will not be credible if it does not confront sins, abuse, weaknesses and failings within our community,” he warned. However, he also suggested that the Catholic media would be less than objective if it did not also point to more positive events and happenings. Elsewhere in his address on Friday, Archbishop Martin suggested that the highest professional standards which are expected of Catholic journalism also applied to management of the Catholic media and involved accurate publication of information about ownership and funding. “We have seen worldwide how freedom of the press can only be guaranteed when there is transparency of ownership and financial and ideological interest. In Ireland, such openness and transparency will be more clearly required, on the part of the Church institutions and of any grouping which is considered a charity, under the new charity legislation,” he stated. He said there was “little appetite” among the Church’s leadership for the sort of probing journalism that asks the questions that need to be asked. “The Archbishop speaks of a lack of charity. I would say journalists feel this lack of charity too, sometimes from those who are in leadership positions in the Church. It’s easy to snipe from a distance without stopping to think about the good faith of those involved,” he said. The Catholic editor suggested the difference between the Catholic media and the mainstream media was that the Catholic press aimed to highlight what is wrong in order to make things better. “Church leaders need to become more comfortable with those who criticise things in the Church because they love it and want it to be better. We frequently highlight the crisis in vocations. Not to emphasise negative news, but to point out to those in leadership the very real crisis this is for the Church and to encourage them to do more to address the crisis,” he said. The Irish Catholic Editor noted that “The Archdiocese of Dublin used to have a Catholic newspaper which was closed down. Maybe that’s an idea for the Archbishop to look at: most Catholic dioceses in the US – with much smaller populations than Dublin – have a vibrant Catholic newspaper. However, such a publication would always suffer from a lack of independence,” he said. Other speakers at the ‘Faith of Our Fathers’ conference in Kilkenny this weekend include businessman, Declan Ganley, former MEP Dana Rosemary Scallan, Bishop Seamus Freeman of Ossory and Irish Times columnist, John Waters.